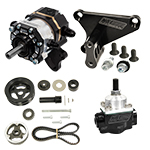 Direct drive (3/8" hex) TandemX Pump (All-In-One Power Steering and Fuel Pump). 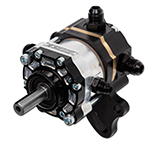 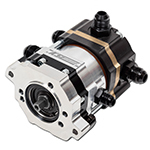 Belt drive TandemX Pump (All-In-One Power Steering and Fuel Pump). 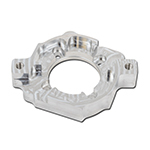 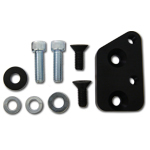 Aluminum mounting adapter for 3/8" hex drive TandemX pumps for Peterson R4 Dry Sumps only. 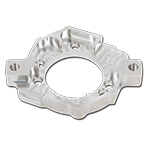 Aluminum mounting adapter for 3/8" hex drive TandemX pumps (included with pump). 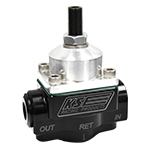 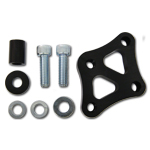 Utilizes 3-bolt "Hilborn fuel pump mounting pattern" on back of dry sump. 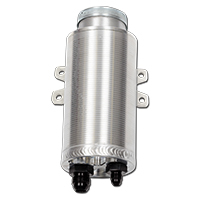 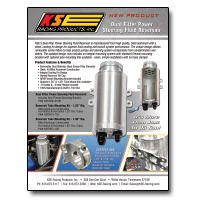 Works with most popular dry sump manufacturers. 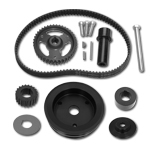 Bert / Brinn transmission bellhousing mounting kit for all belt driven KSE Tandem and TandemX pumps. 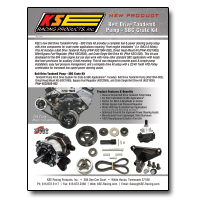 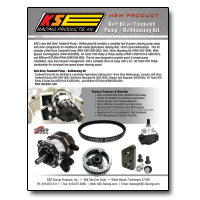 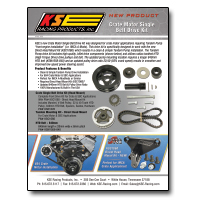 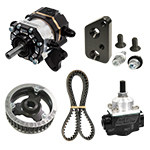 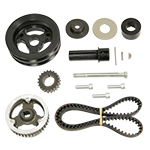 Small Block Chevy mounting kit for all belt driven KSE Tandem and TandemX pumps. 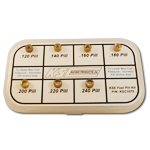 Fuel bypass pill kit includes 7 pills with orifice sizes: 0.120, 0.140, 0.160, 0.180, 0.200, 0.220, 0.240 and 1 fuel valve spring.